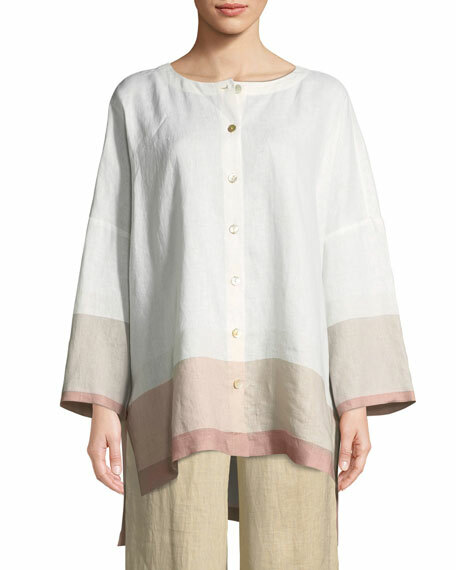 Go Silk boyfriend tunic with bicolor border trim. Figue "Thalie" tunic blouse in Ashbury stripes. High neckline; partial button front. Long sleeves; button cuffs. Relaxed fit. Slipover style. 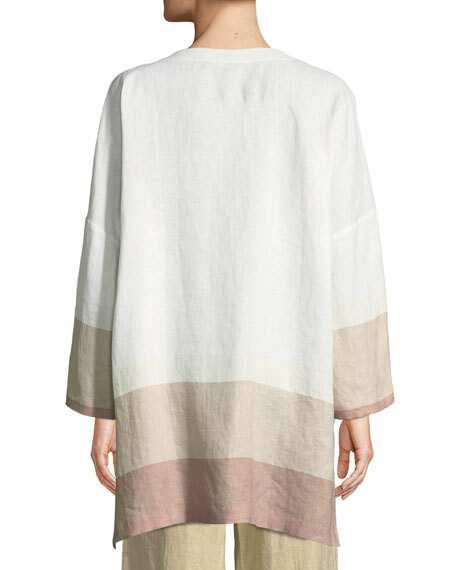 Figue "Thalie" tunic blouse in Ashbury stripes. High neckline; partial button front. Long sleeves; button cuffs. Relaxed fit. Slipover style. High-low hem. Cotton/Lurex® metallic. Imported. Model's measurements: Height 5'11"/180cm, bust 31"/79cm, waist 23"/58cm, hips 34.5"/87cm, dress size US 0/2.